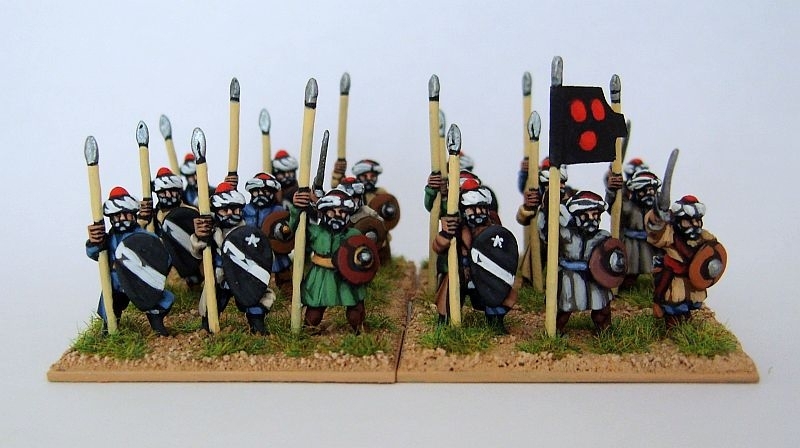 Here’s the latest addition to my Islamic Persian project: six elements of Afghan spearmen. In DBMM they are either Ax(O) or Pk(F) which should be fun. The really good thing is that they are also in the Timurid list and I’m thinking of doing enough troops to field either army. After all I have the elephants. 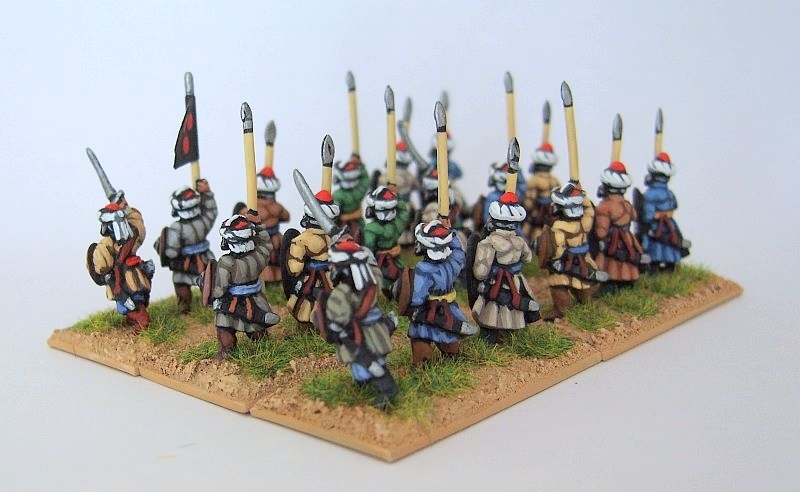 The figures are from Navwar’s Roundway range and they were easy to paint with enough detail and lots of smooth surfaces to create cloth effects. I don’t think this 15th and 16th century range gets enough publicity. 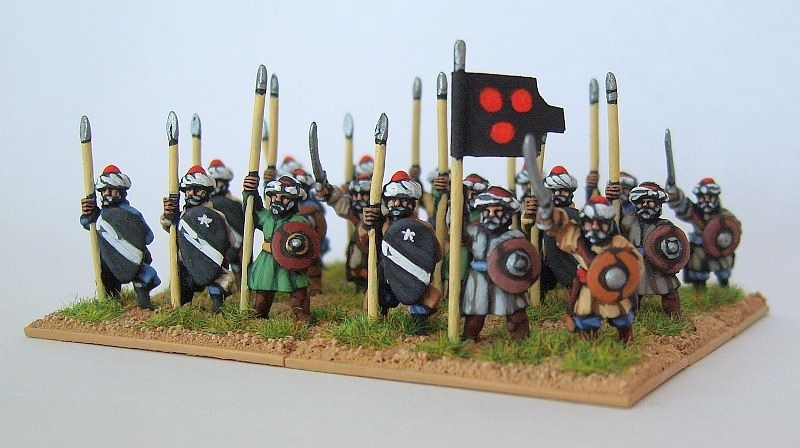 There’s Mamelukes, Persians, Ottomans, Mughuls and Hindu Indians. Each range is not large but they should all mix easily. 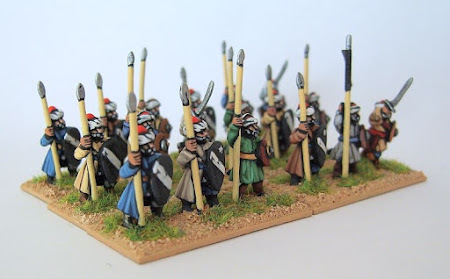 At least that’s my plan as I work towards a small DBMM army. One final comment: I wish I could figure out how to get everything in the angled shots in focus. Ah well! I’ll just have to stick to painting. After three years, and switch to Field of Glory, I've decided to add to this group only to find that I couldn't remember or find the codes. The nice people at Navwar were very helpful so for future refence the codes are RK0T8 (oval shield) and RKMA8 (round shield).